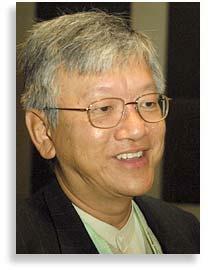 Martin Khor has been executive director of the intergovernmental South Centre since 1 March. A Malaysian native, he took the position after a decade as director of the non-governmental Third World Network. Intellectual Property Watch’s Kaitlin Mara had the opportunity to speak to Khor recently about critical issues facing the global South related to intellectual property – such as climate change, and the challenge of global IP infrastructure – and what the South Centre’s plans are to address them. IPW: Can you talk about your plans for intellectual property work at the South Centre? MARTIN KHOR (KHOR): I think the basic principle we have is that for intellectual property we can’t have one size fits all. For different countries at different stages of development, a different mix of IP law and policy is essential. Any inappropriate harmonisation, particularly of IP rules but also IP procedures, is likely to be a problem for developing countries as a whole and for individual developing countries. The role of the South Centre as a research centre is to look into the implications for the developing countries and to look into the public interest in developing countries and to see how different proposals that are being made may be appropriate or not so appropriate for the developing countries, given that first principle. IPW: Can you talk more about climate change? KHOR: If developing countries are going to try their best to curb their carbon emissions, then of course we have to help the developing countries to get as much appropriate technology as possible at the cheapest possible price. The cheaper the price, the more the technology and the faster the reduction in emission. [This] is an international public good. The cheaper the price, the more access [developing countries] have in terms of [quantity] and quality of technology, and the faster we can act on reducing emissions. And the intellectual property rights has to fit into that paradigm, because we are in an international crisis. Technology transfer is not the mere importation of a machine or equipment. Technology transfer includes the ability, if one purchases a machine, to use it and to maintain it, to adapt it to local conditions, plus the ability to make the machine oneself. And eventually the ability to design new machines, including totally new machines or new technologies. This is climbing up the value chain of technology transfer and technology development. And in this the intellectual property aspect becomes important because, firstly, even the mere purchase of a machine or a product is to some extent – and sometimes to a large extent – depending on whether there is a patent attached to it. But secondly, if a developing country wants to adapt the technology, or to make the technology [itself], then IP of course is an important factor. It can be a barrier. If the equipment or the process, the methodology of making the equipment is patented then it is a barrier to developing countries to making that technology themselves. And finally, if you want to design a new machine, then parts of that design would be building on designs that already exist … [and] may be patented, and in that case IP can also be a barrier. So if we are to look at climate change as an international emergency – which it is, we truly believe it is – and especially the past two to three years the scientific evidence is building up even beyond IPCC [the UN International Panel on Climate Change] – then we cannot have the same business model. We are talking about how business as usual cannot apply in relation to the way production and consumption is made, and therefore business as usual also cannot apply to the dominant business model of intellectual property. During the Second World War, I don’t think the government of Winston Churchill had in its mind a full recognition and enforcement of strict intellectual property rights, even when industries were pulled together to redesign their production in order to take part in the war effort. I don’t think the companies said “excuse me, this other company doing this is violating my intellectual property and you should pay me more” and so on. And all the business models pre-war did not fit into a war situation. I don’t think IPRs [were] anywhere in the minds of people when they were battling for survival, it was all pooling their efforts and knowledge together. Similarly, we need this for climate change. Yes, there are the flexibilities already existing that of course developing countries can use. We know that there’s compulsory licence, we know that there are methods that you can use, there are definitions and there are criteria that are flexible for developing countries when they scrutinise the patent application and so on. But these are also to some extent cumbersome, and therefore more systemic methods I think need to be introduced that facilitate and help developing countries, either in the use of flexibilities or in the changing of law that gives them systemic, sectoral ability to exempt, which is beyond the use of existing flexibilities. [During World War II], I don’t think IPRs [were] anywhere in the minds of people when they were battling for survival, it was all pooling their efforts and knowledge together. In the flexibility area: to facilitate more systematic use of flexibilities, we are looking at things like the US Clean Air Act, under which there is an easier facilitation of companies that want to adopt patented technology that helps in reducing pollution of the air. It’s almost like a compulsory licence…. [A] company can apply to a district court to get a licence in order to make use or to design its own things, although it’s already patented. I think that was brilliant of the United States to have that kind of thing, because the aim was clean air. So, mechanisms like that should be in fact taught to developing countries so they can also institute similar, appropriate mechanisms. But today the atmosphere seems to be that even if you do a simple compulsory licence, which clearly is allowed under TRIPS and Public Health [a 2001 WTO declaration], those countries are subjected to tremendous political pressure. So that’s not conducive to furthering the aim of emission reduction in developing countries. IPW: Can you talk about reform of the Patent Cooperation Treaty, and the idea of creating a more uniform infrastructure for the international patent system? KHOR: To move from facilitating the internationalisation of procedures for patent applications, which is what PCT is, into something qualitatively different and that is to facilitate patent approvals, is one huge leap that the developing countries are by and large not prepared to make. In the recent PCT meeting [in Geneva] there was a very strong North-South divide with countries. I think the new initiative being taken in something known as “global IP infrastructure,” … will run into similar problems and similar concerns. Because in the harmonisation of the search and examination, which in practice will be done by a few patent officers in developed countries and then the transfer of the results to developing countries for their patent offices to adopt, we’d be transferring decisions and a particular model onto the developing countries that they feel could be inappropriate for them. In the procedure of search examination and results one gets also into the substantive aspects … in categorisation, in putting emphasis on differences that you look for in a patent application and so on, one office might differ from another office. IPW: So there’s a concern that the global IP infrastructure is a backdoor to harmonisation? KHOR: It would tend to not take into account that there are different philosophies, approaches, definitions, criteria, and therefore final decisions that one country may take versus another country on a whole range of categories of patents. For example, genetic resources and traditional medicine. The whole philosophy may be different in India as compared to the United States. So when you do a search, what are you searching for? IPW: Are there any other areas of work that the Innovation, Access and Knowledge Programme at the South Centre will be exploring in the future? KHOR: The whole move for “TRIPS-plus”, especially TRIPS-plus enforcement or “grey area” enforcement: the pulling in of customs officials, of postal officials, to become enforcement agents, which we think is clearly inappropriate. In terms of the shady area, it would be, for example, the interface between counterfeit goods and intellectual property. And of course the South Centre is against counterfeit medicine. But we are also against inappropriate methods of enforcement in relation to counterfeit that have the collateral damage of adversely affecting legitimate generic medicine. And this has been an issue that has exploded in the recent … seizures of drugs by customs officials in Europe. Of legitimate drugs, of legitimate South-South trade. I think the philosophy that has been built up in the South Centre, from at least 1995-1996 continues. The South Centre was a pioneer in developing countries of having overall analysis of intellectual property in the TRIPS period. As the WTO was being formed [the WTO was established in 1995], there was already very deep analysis of the TRIPS agreement and its development implications. And from those early days into what are the – despite the constraints and constrictions placed by the TRIPS agreement – what are still the flexibilities allowed within the TRIPS agreement is what the South Centre has been specialising in, in public health but also in other areas. That tradition continues until today and will expand into the future. "Interview with Martin Khor, South Centre" by Intellectual Property Watch is licensed under a Creative Commons Attribution-NonCommercial-ShareAlike 4.0 International License.